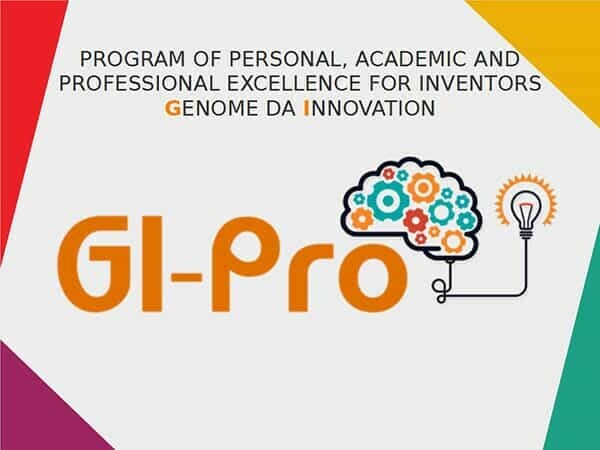 The Program of Personal, Academic and Professional Excellence for Inventors Genome of Innovation, GI–Pro was created based on the premise to train inventors and educate young students to become the future inventors. The core idea of this Program is not only to acquire technical skills but social-emotional ones as well. 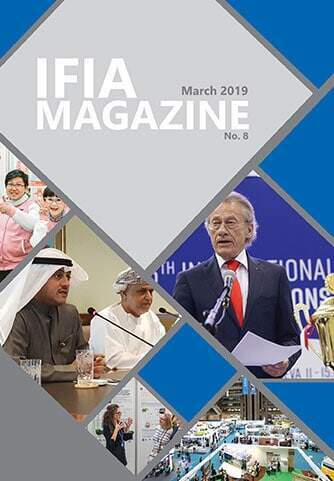 GI–Pro is an IFIA and ABIPIR initiative to prepare the inventors and the students who intend to become one to acquire and/or improve the talents, skills and attitudes required to be a successful professional and person as well in 6 steps. Successful Inventor in 6 Steps – The survival guide of Inventors will be available for inventors, students and teachers in many formats including online course, Trilogy GI which is comprised of 3 books and workshops. All of these initiatives make part of the Invent, Innovate and Change the World (2ICW) Global Program. 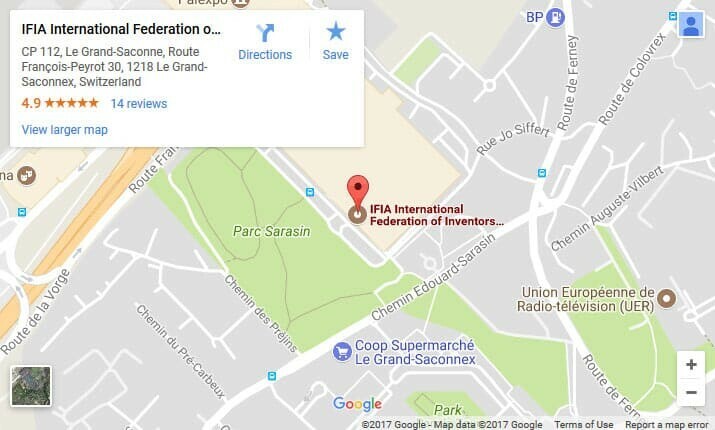 The main purpose of this program is to empower inventors with the knowledge of entrepreneurship tools to allow them to succeed in their activity by becoming more professional and, in this way, making the processes of patenting, selling, licensing and fundraising easier for their inventions. The course aims to show that everyone can become a successful inventor by simply following these 6 steps and grab the opportunity to make money by commercializing their inventions or sharing it with the society contributing to make the world a better place to live. Despite admitting the existence of some people who were born with great talent to invent things, the idea that only a few “chosen” individuals can succeed is not true. The reason is that creativity and inventiveness are not gifts or innate talents but otherwise are both skills that can be learned. In another words, if it can be learned it means that it can be taught. It makes sense, doesn’t it? That’s why Marcelo Vivacqua, a Brazilian inventors and professor, president of the Brazilian’s Inventors Association, member of the Executive Committee at the International Federation of Inventor’s Association and author of the GI–Pro has created this educational and training methodology, for helping hundreds of inventors to succeed and ordinary people to acquire the taste for inventing things, changing theirs and other people’s lives for the better. professional inventors and general public who want to make part of this fascinating world of inventions and add more value to their lives by finding themselves useful to the society by creating innovative, efficient, attractive and sustainable inventions which can make the people’s lives healthier, easier and more comfortable. In the figure below there is an infographic that represents the 6 steps that must be followed for those who want to become Successful Inventors. 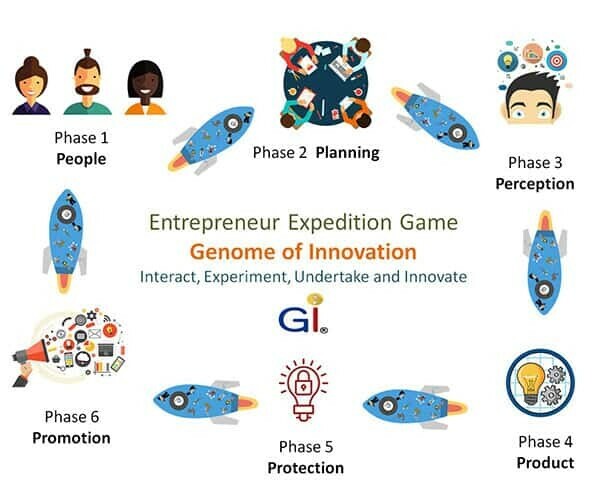 The other goal of GI–Pro is to implant the culture of inventions and innovation in the children and teenagers’ minds by teaching them all the processes and concepts (patents, prototypes, Science, Technology and Engineering – STEM etc.) needed to become a future, or even an immediate Inventor, in a playful way of learning by using the Genome of Innovation’s characters. The GI–Pro workshop aims to develop in participants the required competence to find and undertake creative solutions for problems in the form of processes, products and services using the scientific principles of neuroscience. It aims to increase the quality of life by boosting the brain performance improving cognitive skills (logic reasoning, memory, concentration, focus), creativity focused on developing innovative inventions, techniques to develop entrepreneurial skills (leadership, efficient time management, planning, persuasion, Neuromarketing techniques to sell you invention and find investors etc.) and emotional skills (self-control, self-confidence, self-esteem and empathy).